Pay way too much because you're a foreigner! The big trip has finally started! We have been visiting Mumbai for the last few days (I’m traveling with David while in India). An incredibly big city that is way too crowded. Chaotic is the only word that could describe the traffic and the sidewalks are always overflowing from people. Mumbai is a paradoxical city where skyscrapers are rising everywhere, surrounded by slums. You’ll see brand new BMWs and Jaguars right beside autorickshaws (the local tuk-tuk) and old Tata trucks. Many buildings are on the verge of collapsing but all the balcony are equipped with AC and a satellite dish. There are some old colonial buildings, especially in South Mumbai, but they are not in a good shape. The notable ones are the Mumbai CST train station which is a World Heritage Site, the Gateway of India, The Taj Mahal Palace Hotel, the Prince of Wales Museum and the Dr Bhau Daji Lad Mumbai City Museum (which has been recently renovated and is really beautiful as well as interesting - much better the the other one). I liked the seafront where you could walk and watch the sunset over the ocean. On our first night we went to the beach in the Juhu neighborhood were we had our first taste of the odd looks Indian people give to foreigners. 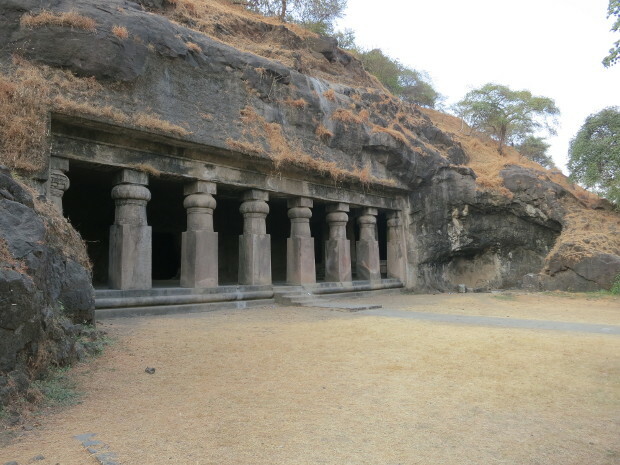 A trip to Elephanta Island is a worthy experience as the caves are quite nice. They are Hindu temples carved into the mountains, dated more than a 1000 years old. We came back with the last boat and we could enjoy a nice sunset over Mumbai from the boat. We were staying in a hostel near the airport. While it was quite far from the old town, it was worth it as it was clean and very friendly. The owner, Raj, is great and very helpful. He took us too visit his temple, north of Mumbai, where we met his Guru. 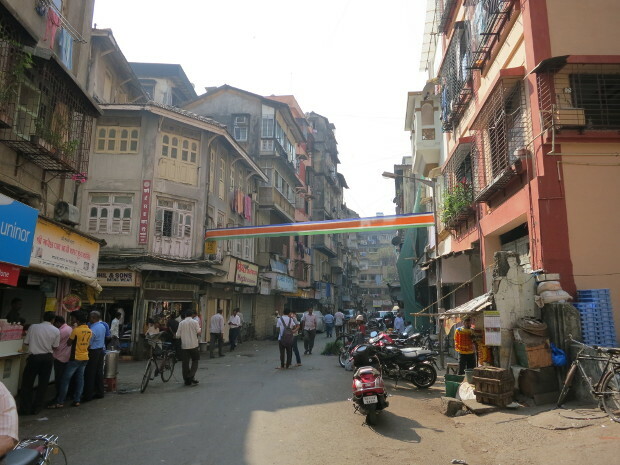 Indian people (outside of South Mumbai…) are incredibly friendly and helpful. A family invited us for breakfast and tea and people in the train or in the street are always trying to help. 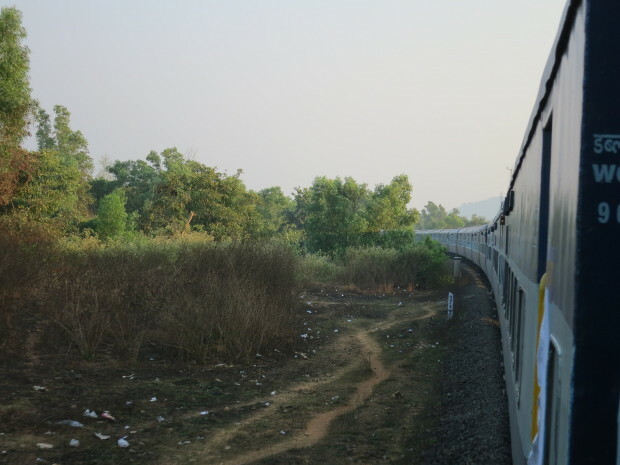 This morning we left very early to catch the train to Goa from where I’m writing this post. First experience with the Indian Railways which was not bad at all. The system is really efficient and well thought-out. The only problem I could think of is how slow the train are going, the 400km ride taking us 13 hours.